In many ways, SaaS offers an attractive, quick solution for an organisation to advance in People Analytics. On the other hand, it can often be inflexible, and making a third party system work with the unique internal processes and workflows of an organisation can sometimes become a shoehorning exercise, and this in itself raises more challenges in driving adoption. Creating your own tools avoids the restrictions inherent in using third-party software, as well as the ongoing subscription and management costs, which can be substantial. It can seem a daunting task, however, especially for companies without significant in-house IT design capability. So when does Build become a better option than Buy? 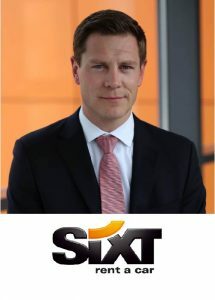 Learn how Sixt Rent-a-Car, a family-owned business of around 4,500 employees, went from a position of limited digital capability in HR, to building an ever-evolving proprietary HRIS that does exactly what the business needs. Find out how they planned the project, the resources they brought in, the process of creating it, and how they drove adoption. Could this be a route that your company could explore? Take the opportunity to ask Max about his experiences, and then discuss the prospect with other people considering similar options. – Heterogeneous processes, systems and requirements across the company and the globe. – Neglection of designing the HR environment digitally (IT had nothing to do with HR). – Limited readiness and willingness for a major (personal) change. – Streamlining the system and IT-architecture in and for HR. – Capturing of global processes and international alignment. – Creating awareness for the positive aspects of such a change (win the employees). – Reduced manual and therefore redundant effort in people’s daily business. – Increased transparency in data and processes. – Easy-to-use and intuitive tools and processes with given workflows. – Increased efficiency for all people involved into HR processes and around.